Reassurance shield as 500 joins 49 and we enter Payne. 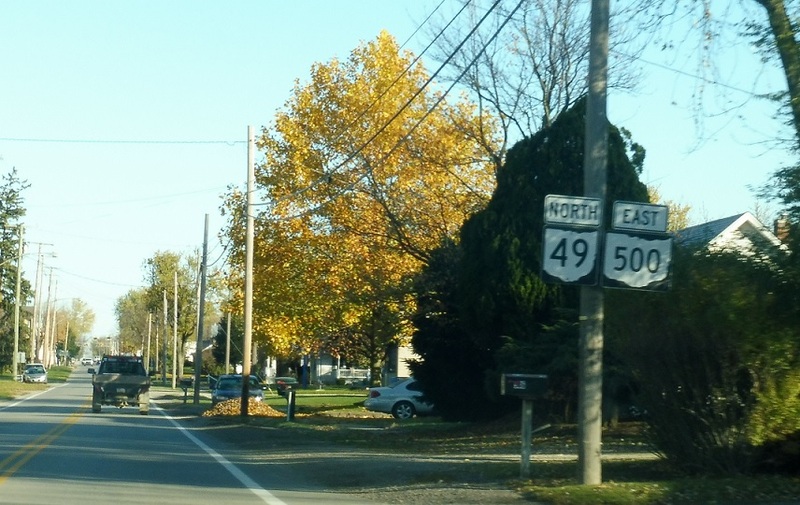 A few blocks later, we’ll approach SR 613. 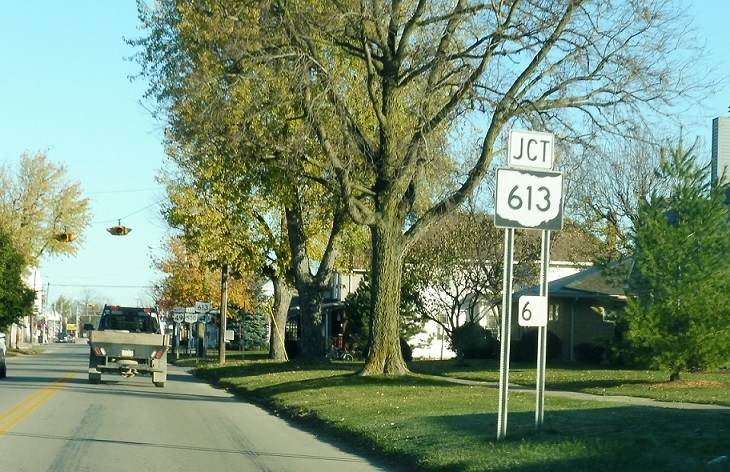 Turn left for 613 west, another spur to the Indiana line. 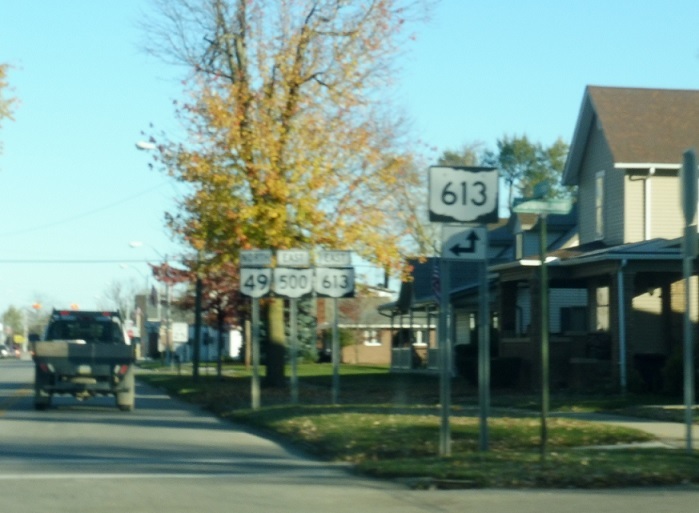 Stay straight for 613 east, which concurs with 49/500 for a few blocks.